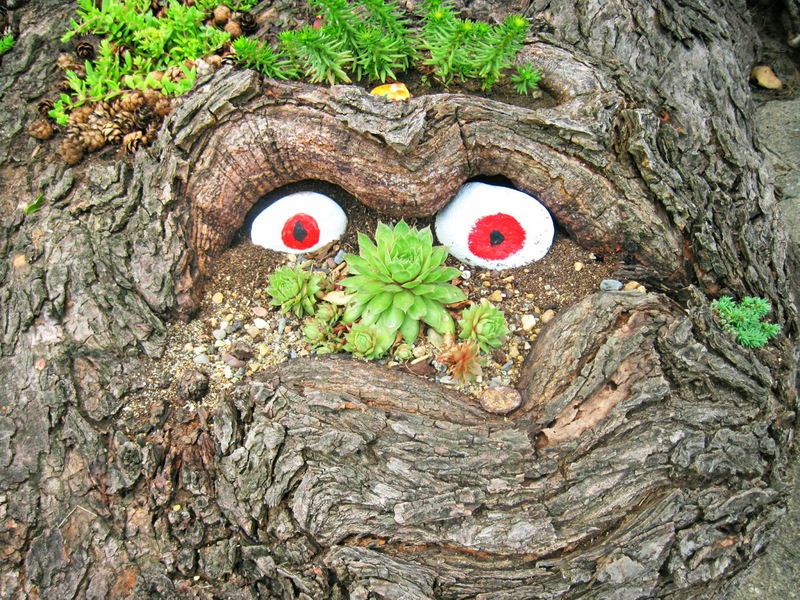 When downtown I often drive by a couple of hippies who have created a marvelous but tiny garden in the roots of an old tree. I always enjoy seeing what they've created. Little herbs are tucked into crevices. 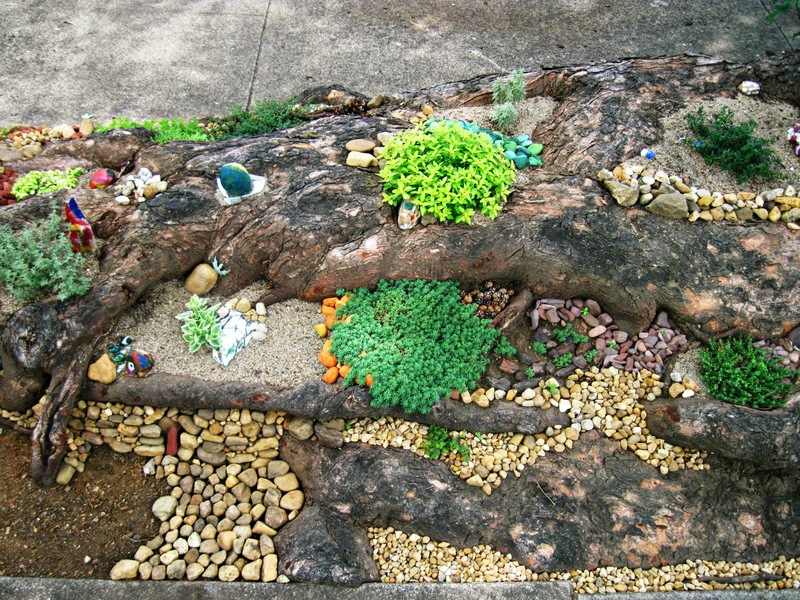 Painted rocks, and rock gatherings, are arranged in patterns. What a great find, Lisa. I have a blog friend, Celestina Marie, who paints on magnolia leaves! Hope you have a good day. Do you think kids did this? How cool! Looks like fairy land to me! There used to be a guy who molded cow manure in the shape of turtles and you put it in flower gardens to fertilize. They would fit here if kids would leave them alone. They were called turdles. Ja maar dit is wel leuk. I would just love stumbling upon Hippies! One doesn't find many of those in rual NE. I do love folk art. This is a nice find! Hi Lisa, There are some very creative people in your community.. I love folk art... NEAT! Been busy this week... Haven't been blogging much.. Let me know if I have missed one you want me to specifically see!!! OH i LOVE LOVE LOVE! What lovely folk art! Glad you found it, and enjoyed it, and shared it. That is so cool. I love when people do funky things like that. Oh my gosh, you have found a treasure! Come to think of it, this may be a good and cheap project for you and the boys this summer. 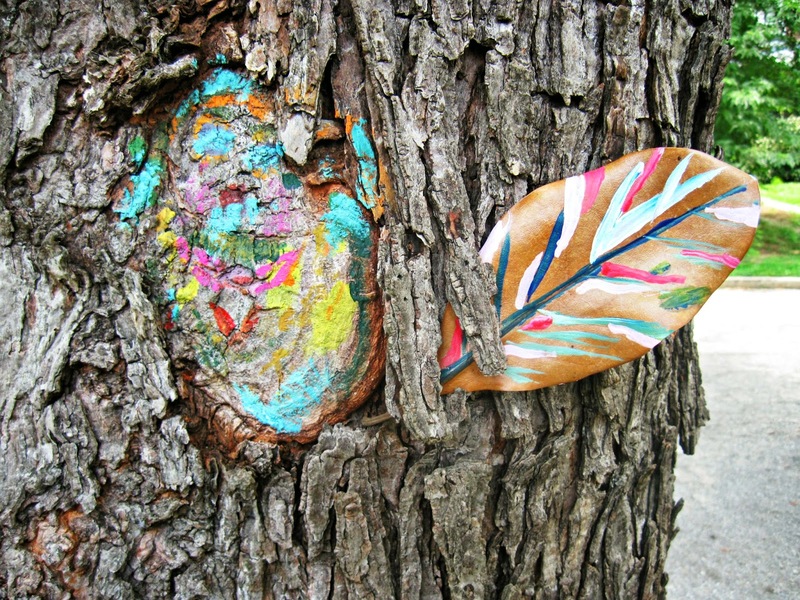 I especially like the painted feather and the painted knot in the tree. Yes, I do love folk art! We have an area near the Capitol that has handmade signs from an elementary school, complete with misspelled words. Anyway, this is so much cooler! Oh, I would love to play there in the garden! What creative people. So creative. I love the idea. That is total gorgeous!! And happy! I love this idea! And I think the fairies are already there! You can't see them! So cute! I've come across places in Virginia and West Virginia that see to attract hippies. Amenities seem to be local agriculture, an art community, and outdoor recreation! Well, how COOL is that!! Awesome. 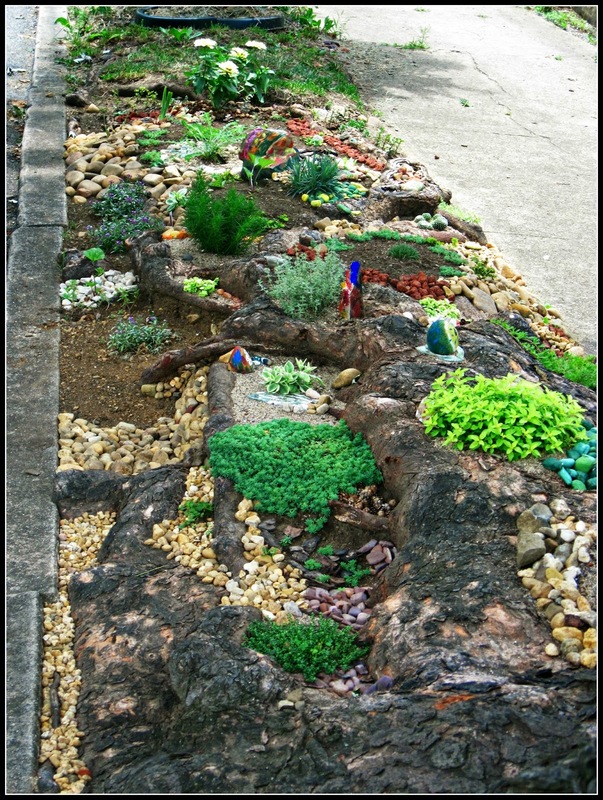 That's a cute little garden! Looks fairy friendly to me! I have to steer clear of the creative gardens in our neighborhood as my male yellow buffalo dog tends to want to give them his signature shower. That is such a fun idea. I bet it gets better and better each year. 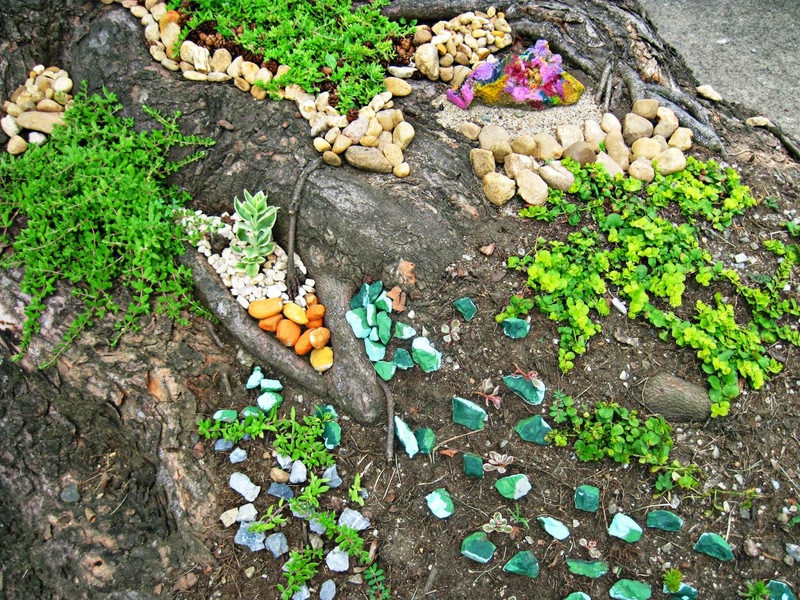 I just love to look at things like that - makes me happy - bet the kids loved it. I had took a "double take" at the radiance of these colors and wondered if you used a filter. Just natural and very nice!